Now that the weather is warmer and never-you-mind about wearing white after Memorial Day, my advice is - just wear it. 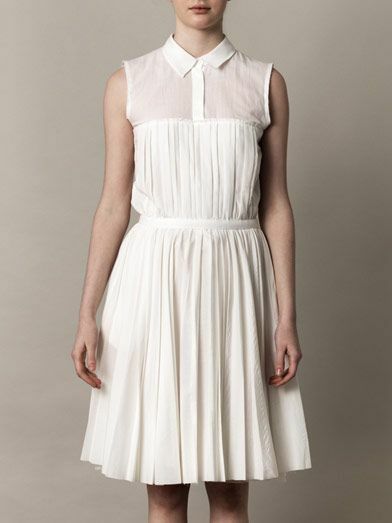 Like this cutie pie pleated cotton dress from Boy. 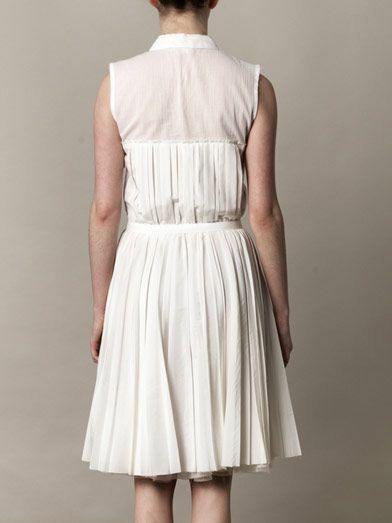 By Band of Outsiders with it's flirty pleated top and skirt that I spotted on the UK site, MatchesFashion. And the nice thing about a white dress, you can basically wear any accessories and shoes. No rules!